A very special thank you to our Partners and Friends! Farm Bureau Insurance of Michigan was founded in 1949 by Michigan farmers who wanted an insurance company that worked as hard as they did. Those values still guide the company today and are a big reason why they are known as Michigan’s Insurance Company, dedicated to protecting the farms, families, and businesses of this great state. Farm Bureau Insurance agents across Michigan provide a full range of insurance services—life, home, auto, farm, business, retirement, Lake Estate®, and more—protecting more than 565,000 Michigan policyholders. 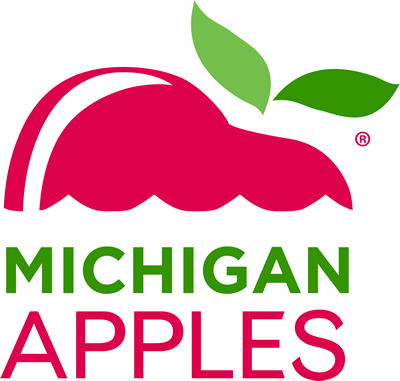 The Michigan Apple Committee engages marketing, research, education and communications for the benefit of Michigan’s apple growers. Apples are one of the largest and most valuable fruit crops in Michigan. With about 20 varieties of apple commercially available, you can be sure to find a flavor perfect for you. Warm, sunny summers and cool fall nights and plenty of moisture from the Great Lakes create crisp, flavorful apples. No wonder Michigan is the place where apples love to grow! Providing financial products and services to the agricultural industry and country living residents, including land loans, construction financing, home mortgages, operating loans, crop and life insurance, and tax and accounting services. Visit GreenStone at one of our 31 Michigan locations. MAEAP is an innovative, proactive, and voluntary program that helps farms of all sizes and all commodities voluntarily prevent or minimize agricultural pollution risks. MAEAP‘s mission is to develop and implement a proactive environmental assurance program ensuring that Michigan farmers are engaging in cost-effective pollution prevention practices and working to comply with state and federal environmental regulations. The Michigan Craft Beverage Council was recently established to provide for research into Michigan agricultural products, such as wine grapes, fruits, hops and barley, that are used in the production of Michigan wine, cider, beer, spirits and mixed spirit drinks. Linking these agricultural products to consumers through local wineries, craft breweries, and distilleries provides the opportunity to experience and promote Michigan’s agricultural diversity through craft beverages. The Michigan Farmers Market Association (MIFMA) is a memberbased, statewide association with a mission to advance farmers markets to create a thriving marketplace for local food and farm products. Learn more, become a member, or find a farmers market at mifma.org or call 517-432-3381. MSU Extension helps people improve their lives by bringing the vast knowledge resources of MSU directly to individuals, communities and businesses. Faculty and staff members provide tools to live and work better. From a personal meeting to information online, our educators work every day to provide the most current information when people need it to ensure success – in the workplace, at home and in the community. To reach any MSU Extension county office, call toll free 1-888-678-3464. Michigan Radio is the state’s leading NPR news and information source, with a mission to produce and distribute trusted content that informs, educates, entertains, and engages people who care about Michigan and the world around them. The station airs news and information content 24 hours per day, seven days per week via threeFM signals: 91.7 FM in Southeast Michigan, 104.1 FM in West Michigan, 91.1 FM in Flint, and online at michiganradio.org.